Here we are at that time of year again when Hubby and I make a date to go calendar shopping. We usually go after Christmas and just before New Year's; that way determined Christmas shoppers have already come and gone, and the folks who are now out and about are much more relaxed and unhurried -- which creates an ideal ambiance for browsing. We do realize that by now selections are much depleted, but we're perfectly fine with that -- the choosing becomes simpler, not having to sort through dozens of designs, as we try to decide what we want on our walls or desks for the coming new year. Shall it be something pretty like flowers, cute like kittens, maybe peaceful like clouds, or flamboyant like Spanish dancers? Do we want art by Monet or Cezanne? Photography of France, Singapore, or England? Do we want sayings and quotes to inspire or photos with no words? What about something to make us laugh ... like those silly cartoon characters making funny comments or pictures of dogs reading their own poetry? 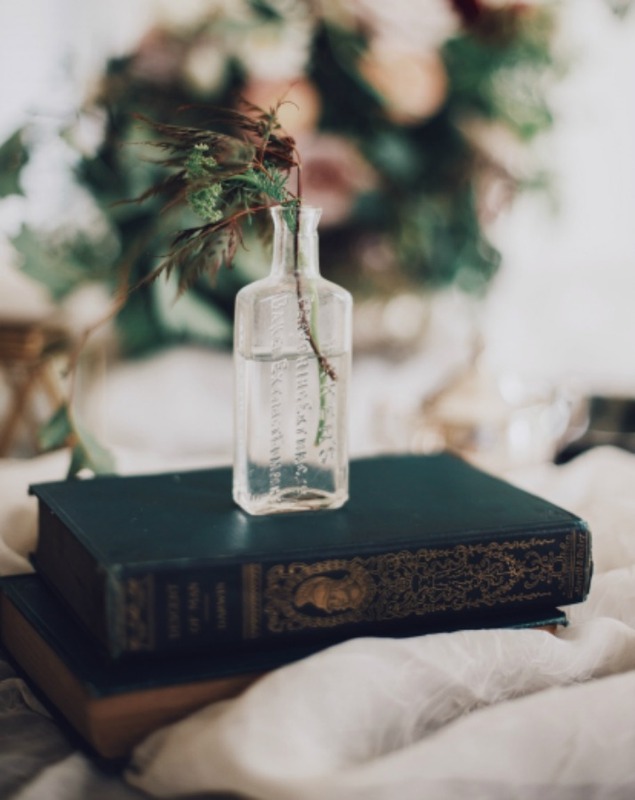 Mulling between this one or that one, we eventually select something that's caught our eye or emotional state of mind, and we gleefully breeze out with our bag of treasures and pleasures. As you can see, I am one of those people who still likes a physical calendar. It's a reasonable way to display artsy works, and every month I get to turn the page and enjoy something fresh and new. My iPhone and desktop computer calendars compare not in providing that sensory experience of snooping out that perfect bit of art in the form of a calendar that will serve me for a whole year. And, now for a little parade of our 2017 calendar purchases. Oh yes, not just one calendar, we have calendars in various rooms in the house. Little ones to pin by the bathroom sink, large ones for the kitchen wall, something for our bedroom, and a couple for our two office-studies. Sometimes we even have something fun to post out in the garage or basement (usually the freebies). 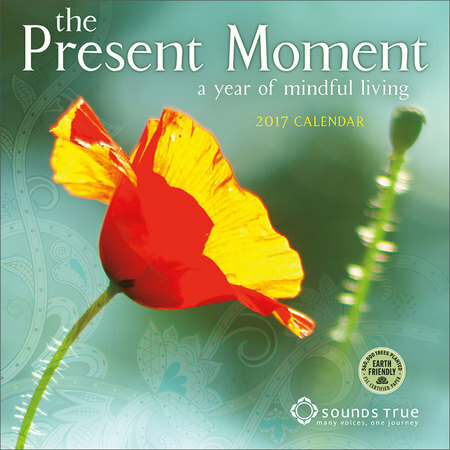 Thought this calendar, filled with inspirational photography of flowers, branches, even someone holding a bird nest, would work in my office/study ... as a reminder to live my days in the present moment ... not holding onto the past, not fretting about the future, but being mindful of where I am in this moment. And being grateful for it. 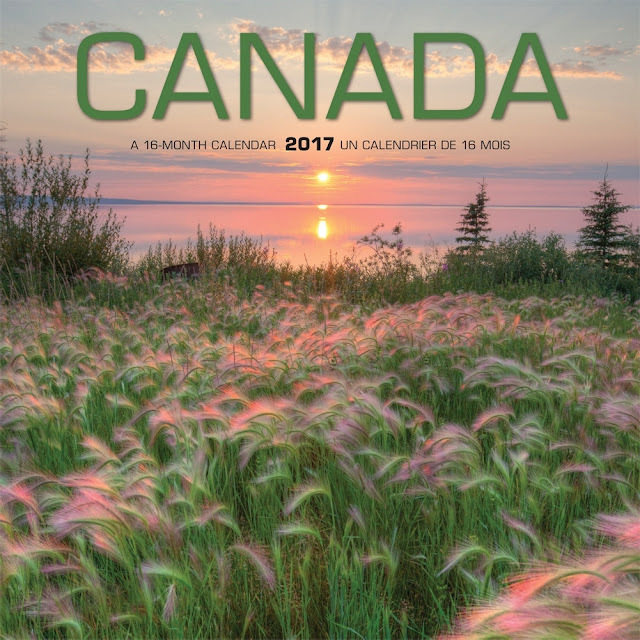 We enjoy calendars displaying wonderful places we'd like to visit in the world. 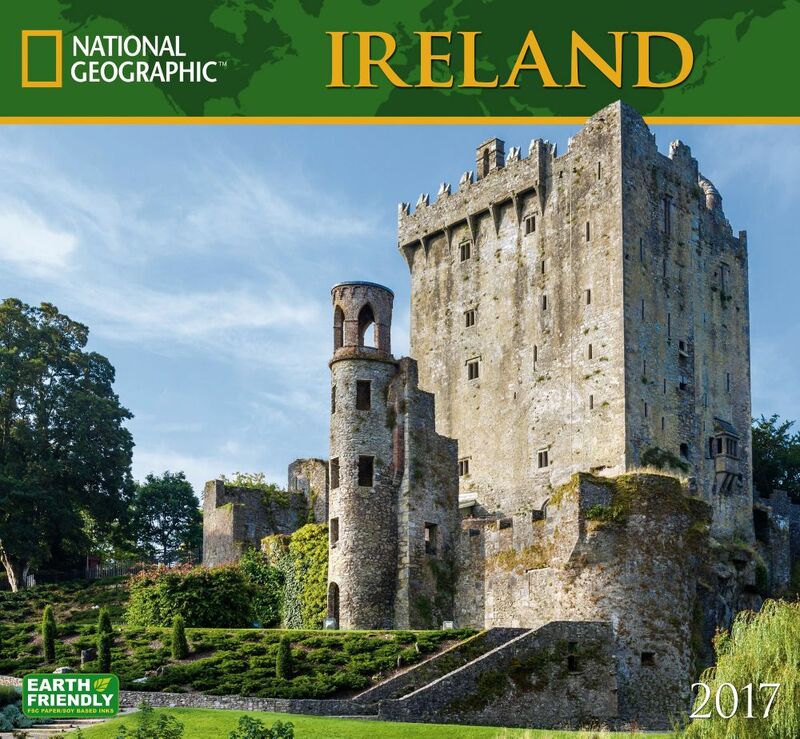 This year we picked an Ireland calendar. 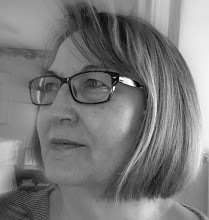 Perhaps I was drawn to it because I'm currently reading the latest novel by Canadian-Irish author, Patrick Taylor, The Irish Country Love Story. I love his stories; they are peppered with colourful characters set in the equally colourful Irish village of Ballybucklebo. As much as we like seeing what the rest of the world looks like, we also know there is no place like home, and home for us is Canada. You can't tell from the photo, but this is the mini-calendar that will be pinned by our bathroom sink -- providing a glimpse of something local and lovely to look at while brushing one's teeth. In the early 20th century, a group of men began to formulate as they discovered they shared a common artistic interest. Together, these men would embark on weekend sketching trips or socialize at the Arts and Letters Club in Toronto. They were in search for a distinct painting style that would not only reflect the unique character of the Canadian landscape, but would break from European tradition. These were Tom Thomson, J.E.H. MacDonald, Lawren Harris, Arthur Lismer, Frederick Varley, A.Y. Jackson, Frank Johnston and Franklin Carmichael. Although Tom Thomson died in 1917, he had a significant influence on the group and his painting style was representative of the Canadian landscape and experience. In May 1920, Harris, MacDonald, Lismer, Varley, Johnston, Carmichael and Jackson decided, for the first time, to exhibit as the Group of Seven at the Art Gallery of Toronto. This marks the founding of the Group and a historic point in Canada's art history, for which Harris is largely credited. Johnston resigned from the group shortly after. Info from Northern Ontario travel website. This attractive calendar comes straight from England. We bought several while we were there -- I don't know how many we mailed home to share with loved ones. Did I ever tell you that I love gardens? Although I confess I'm not as keen on the actual act of gardening, I do love the beauty of a well stocked and plotted out, and don't forget an abundantly fragrant, bit of earthly paradise. So when we spent twelve days in Kent, renowned as the Garden of England, during our visit to Great Britain, I knew I was experiencing a long time dream come true. Walking on pathways that swept past vibrant perennial borders, through allées bordered by majestic trees and shrubberies, and winding their way under rose-laden trellises ... I remember thinking, "Drink this in, Girl, you're really here; you're really standing here in an English country garden. Let it soak into your soul so you never forget." Oh my goodness, Elizabethd, it had totally slipped my mind until this moment when I read your lovely comment below that I, too, was the recipient of a beautiful Cornish calendar ... the one you gave me when we met in Cornwall this past summer. It was tucked away for safe keeping until the New Year arrived. I'm so excited ... it's like Christmas all over. I had to come in and adjust my post to give this calendar its rightful place in my 2017 calendar parade. And, so these lovely beauties wait, like me, for the New Year. With such pleasant items to surround me all year long, how can I not go into 2017 envisioning a brighter, better world? Calendars are not just a time piece for me, I use even them, like gifts to cheer my soul when certain life events hand out the ugly. May your days be magical gatherers of those glimpses of heaven in unexpected places. We've given up physical calendars, mostly, but I still like to have one or two around. There's something satisfying about writing things in little boxes and I do think I remember things better when I write them down and can then look at them, rather than look on my techie calendar. You've made some beautiful choices! Happy New Year! I also love a 'real' calendar. 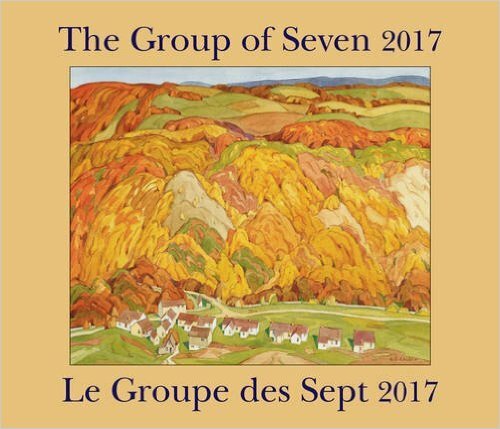 I have had several Group of Seven ones in the past (cause i love them!) I have found old calendars to be a great source of pictures for my art students to use as well, so I collect and save them for this purpose. For he pat three years our daughter has made one with pictures of the grandkids so that is nice too! You do have a nice gathering of calendars. I like the idea of having one in the bathroom...never have thought of that before. I have one for the fridge, which serves as my tickler file, and one for the calendar holder, which I ordered when I realized that a calendar would not be among my Christmas gifts. I ordered one a little different from my usual, but not too. Happy New Year, Brenda! Vee, we used to have a large write on/wipe off calendar (with a large grey kitty cat lounging on the header) that was help on the frig with magnets. But now that we have a new frig -- with two split doors -- that one had to be recycled. It was so handy. I missed it at first. Happy New Year to you too, Vee! I'm a Calendar Girl, too. I don't have quite as many as you, but I do have a blotter-style desk calendar, a Susan Branch wall calendar, and two Page-A-Day calendars ("Bible Verses" and "Color My World"). And My Hero has a freebie hanging in the Man Cave. 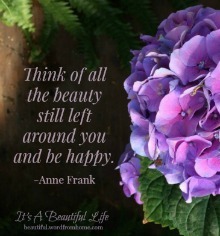 I love surrounding myself with beautiful images and thoughts, and calendars are a good way to do just that. You certainly have some lovely calendars with lots of memories attached. A Cornish one is the first thing my daughter, from Canada, asks for in her Christmas gift list! Then she can enjoy her homeland all year. 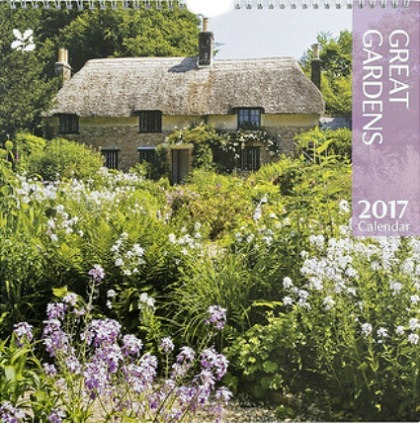 There are some very attractive calendars being produced now, such a change from the humdrum black and white ones that we used to have. 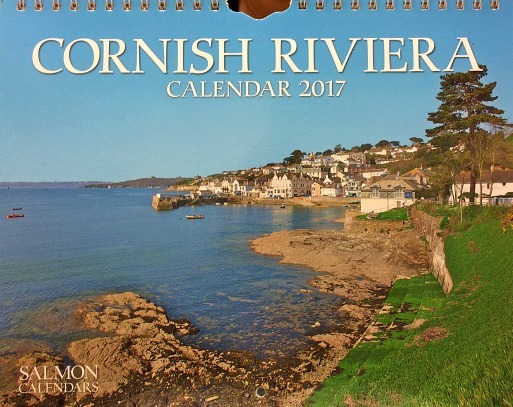 Oh my goodness, Elizabethd, your lovely comment just jogged my memory, for it had totally slipped my mind until this moment that I, too, had a beautiful Cornish calendar .. the one you gave me when we met in person this past summer. I had tucked it away for safe keeping until the New Year had arrived. I'm so excited ... it's like Christmas all over. Thank you!! All excellent choices. I was given a Poldark one for Christmas, I guess I will just have to put up with looking at Aidan Turner all January!! My only one so far, I might see if I can find one of the NT gardens one too. To make your own calendar each year sounds like such a lovely way to remember happy memories. As you say such good fun. If I would have thought of it sooner, I would have created a calendar from the photos of our England this past summer, for I have ever so many beautiful memories from our time there. Hmm... it's not too late, I shall still do that, and thank you for the idea. thanks for sharing your lovely calendars-such practical art to decorate our homes with..I still use a small paper calendar in my purse-so much easier to use than my phone...lol! You are sweet Brenda! Thank you for posting the calendar photo, I had forgotten it too! 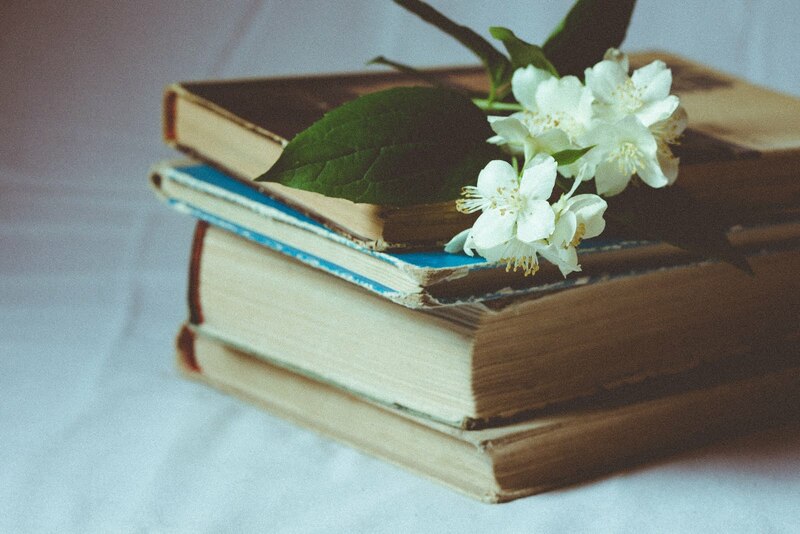 Bren: As always a beautiful, beautiful post. Once again you bring such inspiration to see joy in the ordinary. I also love calendars and they have become an annual Christmas present from my sweet husband. I am so partial to Claude Monet that he always searches for 2 of them for me. One large one to hang and one small one to go beside my chair, so that I can bury it under a stack of books. Wishing you and yours the best of health and happiness in the New Year! What a lovely collection of calendars! I am glad I am not the only one with more than one! Happy New Year! I'm traditional and still use physical calendars too (for the pretty photos) so I really enjoy your diverse collection of calendars for 2017. Great choices! I use the freebies at work, while my tea-themed calendars (I found 7 this year!) are displayed around the house. Happy New Year, Brenda! I'm with you on calendars that pin up! Each month when I turn the page, it's a gift. You have 5 plus a Bonus. Favorite , Grest Gardens by Nstioal Trust. I'm a garden girl too. Thank you for this, Brenda. I love calendars too and u fell asleep last night dreaming of a daily art calendar. Is there such a thing? I love art collections and I'd like to display a daily one in Mt office to enjoy and to inspire me as I write. I thought you might know of one! Also, I love Patrick Taylor's work. I'll have to pick up his latest book. Thanks for sharing!! Now I would quite enjoy daily art or doodle prompts. I hope you find something that works for you. Just finish Patrick Taylor's latest... most enjoyable. Ah Brenda - I too love those physical calendars...they just add a spark of joy to each day - just like your lovely posts. May you have a many blessings in the coming New Year. Hugs! I knew we were kindred spirits, but this post just really confirms it. I am such a calendar person, too. I usually wait until after the first of the year to buy mine because they go on sale sometimes even 75% off. This affords me the luxury to have several ... kitchen, study, studio, bedroom, children's rooms. I was fortunate enough to receive one, the Susan Branch calendar, as a Christmas gift. I am looking forward to going shopping for the others as soon as I'm feeling up to it. I love all your choices. Ireland is beautiful, and though I have been there I have yet to get to England. I will have to look up the books you mentioned set in Ireland. England, specifically the Lake District, the Cotswolds, and Cornwall, are next on my list! Have loved what you have shared from your trip. What a wonderful post! I love how your calendars remind you of so many good things and are even educational. Looking forward to your travel pictures too ! I've not had a physical calendar for a while now but looking at yours I can see the attraction. They are lovely. And just the right note on which to wish you a very happy 2017 and to look forward to your wise and wonderful posts, Brenda. I love coming here. We never buy a calendar because Hubby gets fee-bees from work. Our most cherished calendars are the family photo ones we receive from our son and his family every Christmas. They live in BC. I do need a desk calendar however and perhaps we'll take a spin into the calendar store in the Mall to see if we can find one. Your posts are always so interesting to read. Happy New Year, dear Brenda!